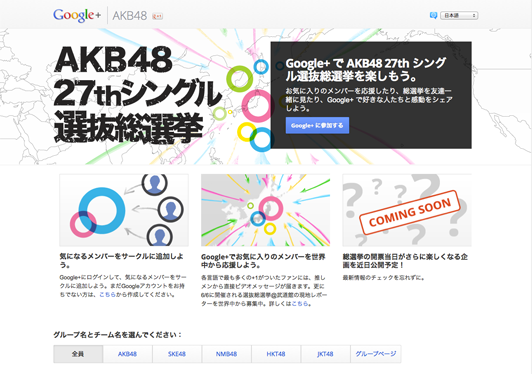 Kayac has designed and created AKB48 Grand Prix Search for the #1 Fan, a campaign website for AKB48 General Election Supporter Project designed to support the 4th AKB48 General Election through Google+. This campaign invites loving messages to support top fans from all over the world (7 languages). 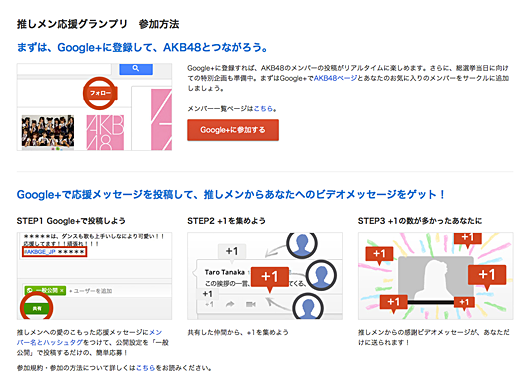 Users can join the campaign only by posting a message of support from Google+ by attaching a hushtag and name of a member. A user who posted a message that receives the most +1s and fans’ sympathy wins a personal thank-you video message directly from a member. The winner can also become an official AKB48 General Election reporter at Nippon Budokan. The campaign has brought additional excitement to the fans’ major event AKB General Election. On a technical level, the website works with Google+ API to extract users’ posts and show the ranking by the number of +1s. Users can also view messages of support by member. 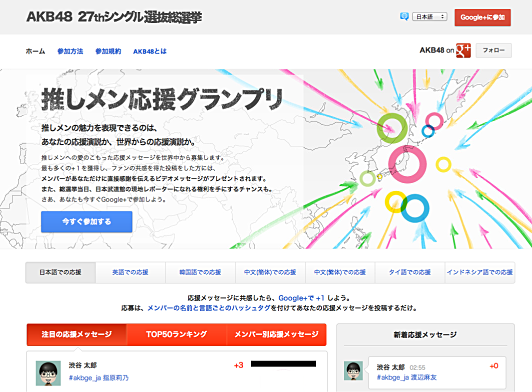 The website offered various features that encourage fans to join the campaign and Google+.